After the conclusion of the Acadian Festival, Acadians in the Valley celebrated Acadian Day on Wednesday, Aug. 15, with a special Mass, supper, parade, and entertainment. 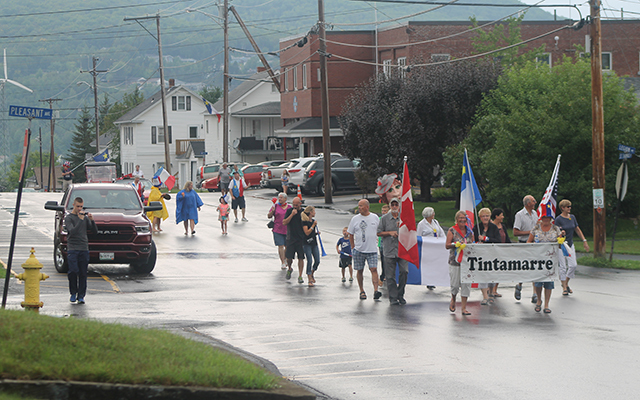 MADAWASKA, Maine — After the conclusion of the Acadian Festival, Valley residents celebrated Acadian Day on Wednesday, Aug. 15, with a special Mass, supper, parade, and entertainment. Aug. 15 is the real Acadian Day, according to one of the organizers for the Acadian Day festivities, Priscilla Cannon. After French Catholics refused to pledge allegiance to the king of England, they were deported and landed in St. David, according to Cannon. “Some of the original families were the Cyr, Daigle, Hebert, Marquis, Ayottes and Thibodeau families,” she said. After the special Mass with the Van Buren choir ended, people gathered in the Bicentennial Park for chicken stew, ployes, hot dogs and beans. The Tintamarre parade followed. Cannon said as the people were walking down the streets, the bells from the 6 p.m. Mass rang out. While the thunderstorm Wednesday may have dissuaded several people from going to the parade, some were dressed just for the occasion. 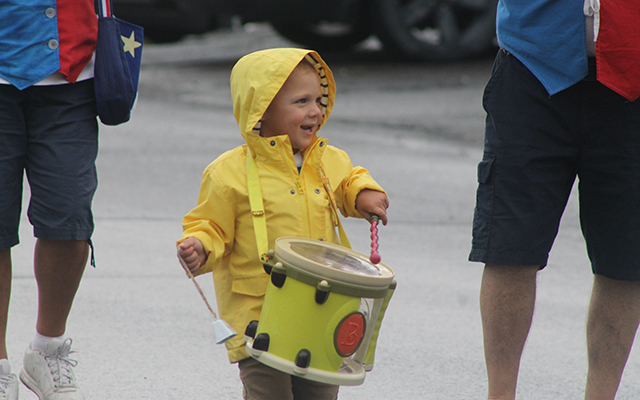 The Nadeau family marched in the parade having donned rain jackets and rain ponchos, while 2-year-old Abram played a small drum that was slung over his shoulder. Gerald Fongemie, an artist in the area and advocate for Acadian heritage, marched in the parade alongside the young Nadeau. Despite this year’s lower turnout, the Acadian heritage rang true.